This online course aims at presenting the PLATON methodology as well as to train teachers in using it in their every-day teaching practice. The course will be distributed in 4 sessions of 2h30 each. Our main focus will be on the exploration of the PLATON methodology – WIIL – Working with Interdisciplinarity and Inquiry Based Learning, using the project’s resources like the 3D Interdisciplinary Map of Science Ideas, as well as the Inquiry Under the Microscope toolkit. After participating in this course, participants will be invited to implement the methodology in their practice, turning their school into a PLATON school, receiving by the end of the year a PLATON school certificate. 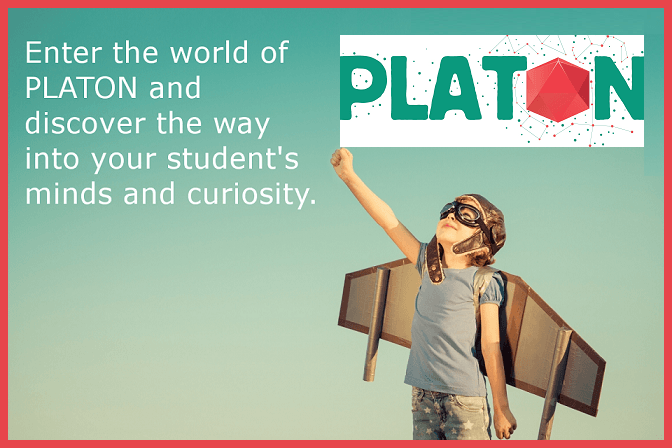 PLATON promotes collaboration among teachers from the same school unit so it is good if you can find at least one more teacher from your school, preferably from a different subject area, to collaborate with you. After participating in this course, you will also receive a certificate of participation. This is a free course; however, registration is mandatory through the form that is available at the bottom of this page. Close to each date, a link for the online course will be sent to all registered participants.